Happy Easter Monday. Even if you do not believe Jesus has risen from the dead, I sincerely hope you are experiencing a special season of hope and peace. For Christians, however, the bodily resurrection of Jesus is not an optional doctrine. The Scriptures affirm the truth that, “. . . if Christ has not been raised, then our preaching is in vain and your faith is in vain. . . . if Christ has not been raised, your faith is futile and you are still in your sins. Then those also who have fallen asleep in Christ have perished. If in Christ we have hope in this life only, we are of all people most to be pitied” (1 Corinthians 15:14-19, ESV). Poetry and faith were not the only interests shared by Updike and C.S. Lewis. 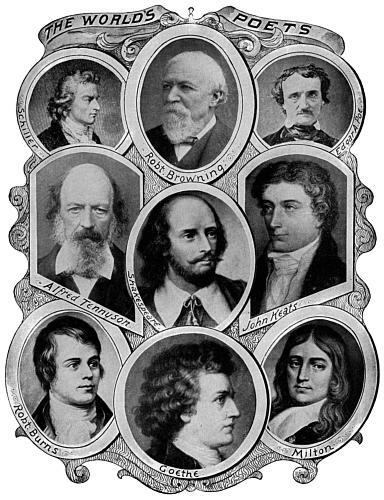 Both men were literary critics, as well as authors in their own right. Updike’s description of his approach to criticism echoes many of the same principles displayed by Lewis. 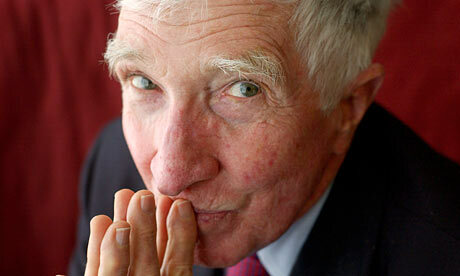 Updike wrote, “I read C.S. Lewis for comfort and pleasure,” praise that has been included in advertising campaigns. A fuller account of his appreciation for Lewis’ work comes in the following passage, from Conversations with John Updike. The provableness of God is a subject Updike may have mused upon during the many Sunday mornings he has spent in church. Updike is a lifelong churchgoer. He was raised a Lutheran, became a Congregationalist during his first marriage, and has recently joined the Episcopal church. “I don’t see anything else around really addressing, for me, one’s basic sense of dread and strangeness other than the Christian church,” he said. “I’ve written maybe all too much about religion here and there. But there have been times when I read a lot of theology. The year I spent in England [after graduation from Harvard] I was very nervous and frightened, standing more or less on the threshold of my adult life and career, if any. Updike was correct. Contemplating holy matters can certainly be pleasurable. That is true even when we are chewing on complex subjects, difficult to digest. After all, “everyone who lives on milk is unskilled in the word of righteousness, since he is a child. But solid food is for the mature, for those who have their powers of discernment trained by constant practice to distinguish good from evil” Hebrews 5:13-14, ESV). * For the interesting story of how this poem won first place in a competition at his church, you can read his pastor’s recollections here. The world’s oldest man just died—and I’m not looking forward to ever becoming one of his successors. I mean, I understand the sentiments of non-Christians who quip that any day on this side of the grass is a good one, but I would only be interested in staying around here that long if I still had a keen mind and good health. I’m not sure most of the people who eventually earn those titles have either. This gentleman was 111, and in the picture of him receiving his Guinness certificate, he actually looks like he had already expired. I mean, no offense, just a statement of simple fact. As for his state of mind, I’m a bit more optimistic. Apparently when asked a while ago how he had lived so long, he responded, “because I haven’t died yet.” Assuming that was tongue in cheek (I recognize that is merely an assumption), he had retained his sense of humor. A good sign. I don’t think ultra-long longevity is all it’s cracked up to be. I remember my 92 year old grandmother (my only relative who lived to be “elderly”) telling me that she was ready to go to heaven. She was in a nursing home, but not in pain, and still witty. She said, “Robbie, I’ll miss you and everyone who is still here, but if you live long enough, more of the people you love are already in heaven than remaining here.” She had been widowed for three decades. And, unbeknownst to us at the time, three of her four children would follow her within three years of her own passing. I am not eager to die, of course. And, unlike Polycarp, the bishop of second-century Smyrna, I’m certainly not zealous about the possibility of someday being martyred. Still, God-willing, when I’ve come to the end of my appointed days I will make that transition peacefully, as is appropriate for a child of God who has been blessed with a full life. When death is seen as a dark end—a soundless void—it’s understandable that many would resist it to the “bitter” end. That theme has been common in literature and cinema. Humorous. And, a respectable goal perhaps, if not driven by deep fear. I don’t share Traeger’s goal of being the first human to reach 150. Nor, as we considered at the outset of our discussion, do I long to gain the title of World’s Oldest Man. Progress means movement in a desired direction, and we do not all desire the same things for our species. In “Possible Worlds” Professor Haldane pictured a future in which Man, foreseeing that Earth would soon be uninhabitable, adapted himself for migration to Venus by drastically modifying his physiology and abandoning justice, pity and happiness. The desire here is for mere survival. Now I care far more how humanity lives than how long. Progress, for me, means increasing goodness and happiness of individual lives. For the species, as for each man, mere longevity seems to me a contemptible ideal. More important, we believe, is the quality than the quantity, of our lives.